One day the Messenger of Love flew in my reading and said “I’m the Messenger of Love, the one who know’s who’s thinking about each other as I am flitting all about as an Angel with wings as a cupid intertwining the souls of those who love one another” and she explained “I know who’s thinking of each other, and who’s thoughts of one another are crossing each others minds at the same time and those are the ones I say love each other” and that she can help to bind them together by a silk thread of an Angel soaring around them to send them the message of who’s the one for them to love and be with. She is as a cupid, a fairy of light and of love to put the ambiance of love all around them and to send a dream to the one they love so it plants a seed in their head to wake up and know I dreamed of them to think of them and to encourage a relationship by the thoughts of the person all around them. She also gives a prayer and affirmation to write and put under their pillow such as “Today I am worried if I shall met thy again as you are the one I want to be with. I am praying to thee angels all around me and the messenger of love to please send the message that I am the one, so they may awake knowing this in their heart and mind and soul that we are intertwined by bliss and my loving thoughts to be forever, I do pray we are together”. 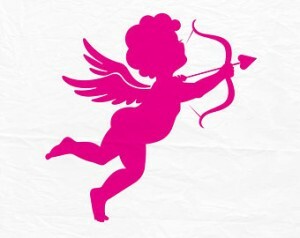 The Messenger of Love is the cupid for everyday to pray to and write love messages under your pillow. The Messenger of Love says to put the love affirmation prayer in a sachet and a piece of a lace or silk as a wedding gown to sleep upon under their pillow as this lets the Messenger of Love know as The Tooth Fairy knows by a note under a pillow. I always believed in Fairy’s when I was a child and had exact psychic premonition dreams and did psychic readings then as a kid and picked it up again by spelling words out on an angel board mat as I was touched by the ray of heavens light by an Angel, I started communicating for Angels by channeling them on my angel board mat and became a medium clear vessel and they speak by me in readings and give love life guidance and the Messenger of Love comes in the readings as the Tinker Bell Winged Fairy for their love life. We’re PsychicsForetell.com, the most trusted source for the best psychics. We offer live psychic phone readings as well as love, finance and career horoscopes. Disclaimer: Blog contents express the viewpoints of their independent authors and are not reviewed for correctness or accuracy by PsychicsForetell. Any opinions, comments, solutions or other commentary expressed by blog authors are not endorsed or recommended by PsychicsForetell or any vendor. If you feel a blog entry is inappropriate, click here to notify PsychicsForetell.We’re PsychicsForetell.com, the most trusted source for the best psychics. We offer live psychic phone readings as well as love, finance and career horoscopes. Disclaimer: Blog contents express the viewpoints of their independent authors and are not reviewed for correctness or accuracy by PsychicsForetell. Any opinions, comments, solutions or other commentary expressed by blog authors are not endorsed or recommended by PsychicsForetell or any vendor. If you feel a blog entry is inappropriate, click here to notify PsychicsForetell. My girlfriend had a dream about us early this morning. In her dream we were looking for a place to host our daughter’s wedding reception. She had heard about a place that everyone raved about, and we were in the area so we stopped by to check it out. It used to be a mall, but for some reason they tore it down. It turned out that under the mall was a very large foundation, and it was historically important and had to be preserved. The foundation was very strange. It kept moving. It looked something like waves and it was enormous. It was also very beautiful and had a blue “military style” band around it. One of the construction people was standing above it near the edge. He said that they had no idea how the guy designed it or built it, so there was no way they could fix it.. But since it was so unusual and beautiful it had to be preserved. My girlfriend didn’t seem to know what this dream was about, but I think I eventually figured it out. It has to do with the foundation of Buddhism. How did I get that? It’s simple. I’ve been a Buddhist for over 20 years. I don’t consider myself a good practitioner (meaning I don’t meditate every day), but I have recited both the Four Noble Truths and the Diamond Sutra pretty much every day for the last 20 years or so. I don’t think I have ever received any formal instruction on either of these two sutras, but I decided a long time ago that if I were to accomplish anything in this life, it would be worth it to at least try to gain an understanding of these two teachings. In Buddhism there is a lot of talk about suffering and how gaining enlightenment is the cure for ignorance. I don’t dispute this in any way; if anything, it seems our world is exploding with negativity and we need this more than ever. But even after practicing Buddhism for over 20 years, I don’t think I ever really (I mean really) thought I would actually GET what Buddhism was all about. Gaining enlightenment is not an easy process. The Buddha used a metaphor of a turtle raising its head every hundred years and putting it through a ring floating on the surface of the ocean. The odds of that happening are astronomically small. And I can also tell you that in a previous life I was a student of the 6th Patriarch of Zen, and I didn’t “get” the Dharma in that life either. 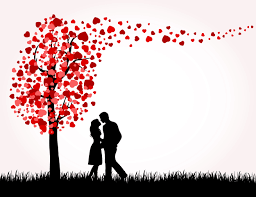 As I began to think about my girlfriend’s dream, I began to connect it to what I had been studying and found that there were indeed many connections. Why did she get this dream? Probably because of what I had been focusing on. Our thoughts go out from us like ripples on the surface of a lake, and eventually they come back to us in different forms. She picked up on what I was thinking. The elements of the dream represent the two facets of the Buddha’s teachings that I was attempting to understand, emptiness and impermanence. These two teachings, emptiness and impermanence, were the two main teachings I was focusing on because they were the two main teachings that the Buddha always taught, and I felt they were the ones I understood the least. As I thought about the dream, I began to wonder about something I had never wondered about. In our age, generally the Dharma is thought to have been brought about by the Buddha. But I had never seriously thought about where it came from. What was the foundation of the Buddha’s Dharma? I suddenly realized that my girlfriend’s dream was the answer to this question. The mall that has been torn down represents our conventional way of perceiving our world. The large foundation is the foundation of Buddhism. The fact that it is open means it is accessible to everyone. The fact that it is vast and empty alludes to the Buddha’s teachings on emptiness. The fact that the foundation was moving represents the Buddha’s teachings on impermanence. I don’t exactly know how to describe what happened next, but I can tell you I did a whole lot of crying. It was quite overwhelming. I heard the beginning of the Heart Sutra: “All Dharmas are marked with Emptiness.” The feeling was of disbelief. I was completely stunned. What came to me was that the Dharma is so vast that a thousand universes could not contain it. Ahhhh Valentine’s Day. Love is in the air. A day for all romantics. A day we best not forget to acknowledge our sweethearts. Or else. But why? I was trying to find the origins of Valentine’s Day. Most of what I read had something to do with commemorating the execution of St. Valentine. One referenced the reason for his demise being his marrying Roman soldiers to their sweethearts despite a law forbidding it. I guess that is romantic. Maybe? Oh and after he was killed, Romans marked the occasion by having the men draw names of eligible ladies from a jar and then they wed or something like that. Apparently they continued this tradition for years after his death and it spread to other countries. Those are the two predominant stories I found told in one way or another. Not so romantic. And neither tie the ends of how we started decorating with angels and hearts. Neither explain why we spend billions of dollars (over $15 billion) on cards, candy, jewelry, flowers and dinner. How these became our go-to expressions of love, I cannot fathom. Unless your special someone really loves cards, jewelry, candy and flowers (I am just assuming everyone loves dinner, no reason to question that), why would these things say “I love you”? Is this just a brilliant bit of marketing? I’m not sure. But I do know that there never is a bad time to let your people know you love them. Let’s hold onto just that bit of Valentine’s Day. But let your love know in a way that is personally meaningful. Or you can get all Pagan and grab an animal pelt and explain how it is actually more traditional than the heart shaped box of chocolates. Really, it’s whatever floats their boat. That is how you give love. And while we are talking about sharing the love, don’t forget to give yourself your own share too. You can’t give someone all of your love, if you don’t have it for yourself to give. So even if there is no special someone, or even a want for one, you can still celebrate the day by doing whatever you love. There aren’t any rules here. We don’t even actually know why we celebrate it in the first place! No matter how it began, it’s here again. So however you spend this Valentine’s Day, whether you celebrate or not, I do hope you know that you are loved.